Don't put your safety at risk! If you’re looking for a trusted locksmith company in Spruce Grove, you have landed on the right place. We are a team of expert technicians who has been providing quality services for all lock and key brands. From simple lock to advanced digital security system installation, we do it all. 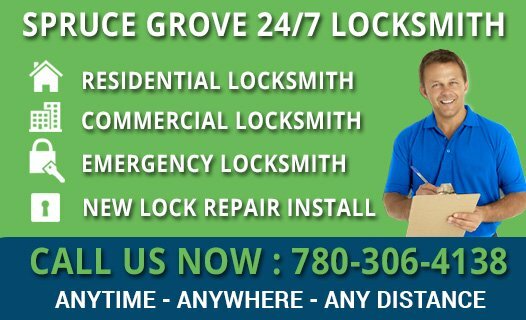 At Spruce Grove 24/7 Locksmith, we serve residential, commercial, automotive and emergency client needs. Our team of expert technicians is insured, licensed, friendly, reliable and trust-worthy. Whether you want to cut keys, replace the existing locks or got locked out of your car, call us to deal with the situation in a simple and pain free manner. 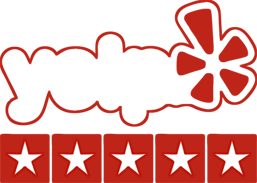 We are determined to satisfy our customers by offering excellent service at a reasonable price. Our garage door specialists are equipped with modern tools and equipments to ensure efficient repairs with zero damages. Protect yourself against burglary and forced break-ins by installing high security locks from our emergency locksmiths. Fast Service, Friendly Prices, Free Estimates! All our locksmiths are experts in their field, holding a great track record. Our experienced staff is trained to resolve your issue in less time. For your peace of mind, our locksmiths are fully licensed and insured. You can only expect quality service from our team. We take great pride in providing excellent customer service for your locksmith requests. We ensure that you get the best solutions every time. We understand that an emergency situation can arise anytime anywhere. That’s why, we offer 24 hour a day and seven days a week service. We offer affordable services that won’t break the bank. No matter whether your needs are residential or commercial, we have got you covered. With years of experience in security and locks, we can assure you will only receive the highest quality service from us. All our services are competitively priced and professionally completed by our adroit technicians. We strive to cover all your residential and commercial locksmith needs, no matter how big or small. Our locksmiths are available 24/7, you just need to make a call, we will endeavor to be with you within a few minutes. Our mobile van have all the latest tools to deliver you quick and efficient service. So, whether you are suffering from a break-in, or lost or broke your keys, we offer every best possible solution to keep your property and belongings safe and secure.